Since I’ve moved down to South Florida I have been concentrating more on the “ethnic eats” rather than the fine dining aspect of food blogging. But as I’ve been having more and more business meetings in Miami, I’m starting to get exposed more towards the high-end cuisine offerings here. I recently had the opportunity to dine at Zuma, which bills itself as “modern Japanese”. Zuma is part of the Azumi restaurant group, which has branches of Zuma in different parts of the world, including London, Hong Hong, Istanbul, Dubai, Miami and Bangkok. My understanding is that the original Zuma restaurant in London was a partnership of two very wealthy Indian businessmen who had dined at the London branch of Nobu and decided that they could create a similar concept restaurant on their own. Certainly Zuma is very “Nobu-esque” in its menu format (including the miso black cod that every high-end Japanese restaurant seems to copy from Nobu these days) and also overall presentation. I will also state I have no idea what anything at this restaurant costs. I was treated to lunch here by a very generous client, and I never saw any prices because I never looked at the menu, someone else did the ordering, and the online menu has no prices either. 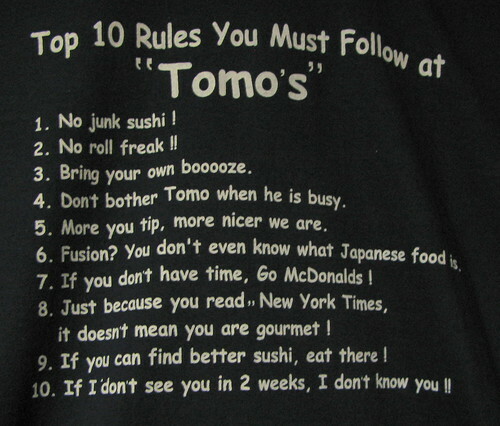 So if your interest is piqued in dining here, just take that into consideration. 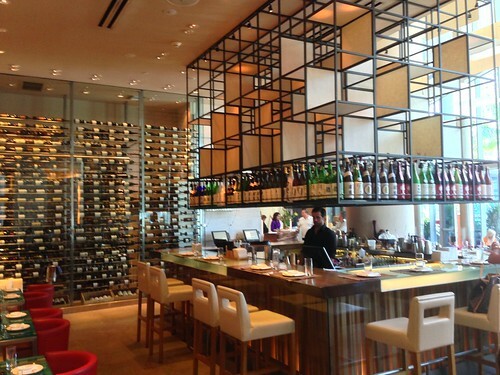 The bar area of the Miami outpost of Zuma. This is one of the few dining room photos I was able to take, as the management got quite annoyed with me after observing me just taking a few casual shots of the general dining area and told me to put my camera away. Nobu too rich for your blood? Well, so is this. Click on the “Read the rest of this entry” link below for more. Trust me: take advantage. Lunch specials are the equivalent of gastronomic gold – a midday score. 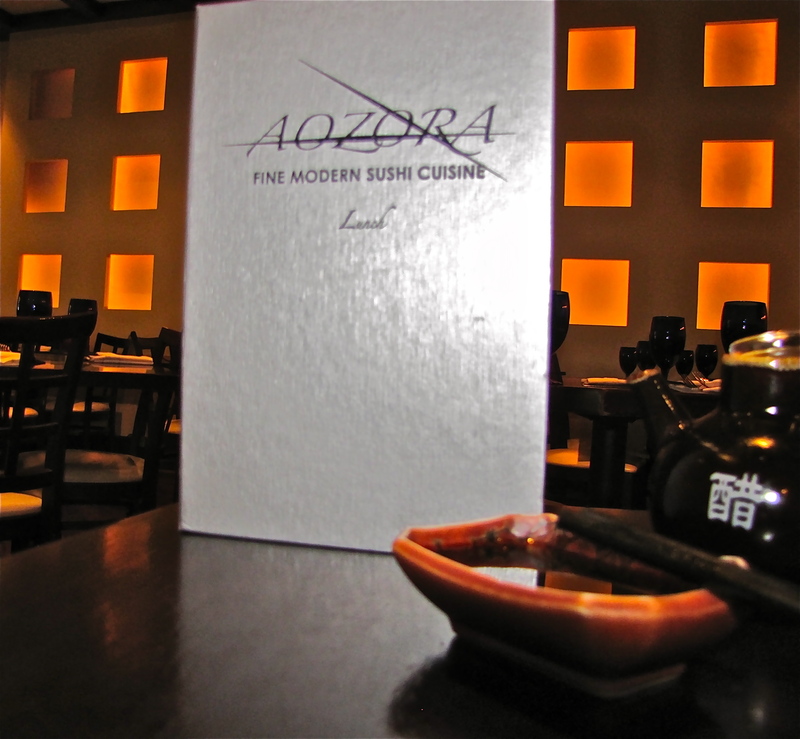 Hot From The Kettle places Aozora Modern Sushi Cuisine among the best lunch hot spots in Montclair. Click through to read more! Mikado 23’s storefront in Wayne. 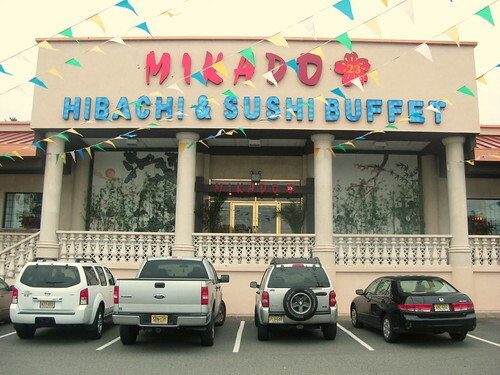 In the past, I’ve written about other Asian-style buffet restaurants in New Jersey, such as Minado, in Little Ferry. 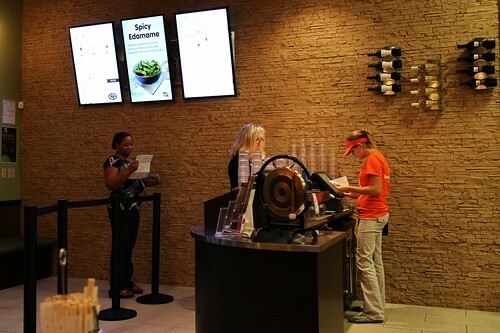 Recently a new Asian buffet and hibachi restaurant — the similarly named Mikado 23 — has opened in Wayne, near the Willowbrook Mall and the recently closed Wayne Town Center, which may or may not open in the future if the economy pulls out of its current recession. And no, I’m not telling you where this place is. He doesn’t want any more business. 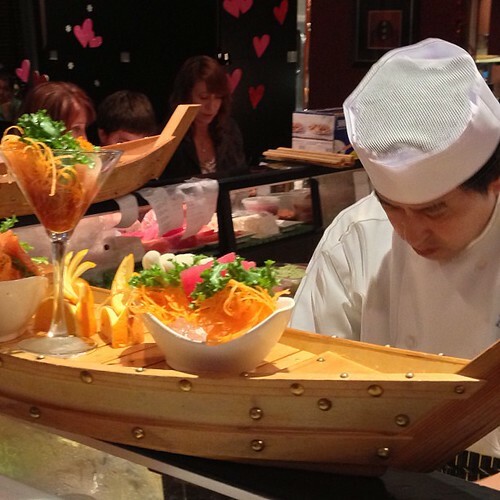 Click here for a short Sushi Cruise video. I’ve said in the past that I’m a big fan of instant gratification. Kaiten (carousel) sushi, while popular in Japan, hasn’t taken off like one would think it would in the US yet, at least on the East Coast. 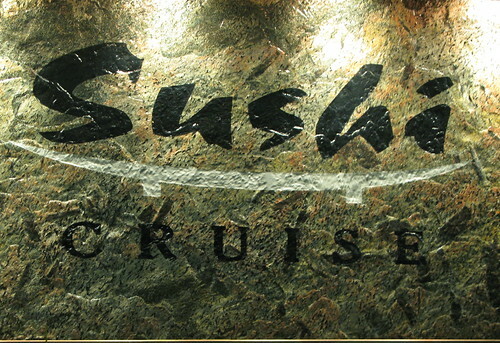 Sushi Cruise, a new Kaiten-style sushi restaurant which just opened in the Marketplace Shopping Center in Edgewater (which also houses Su, the new vegetarian Asian Fusion restaurant) is one of only a few such places in North Jersey and New York City, which include East restaurant in Teaneck, which has been serving that style of sushi for about seven years now since its last renovation in 2001.